1. 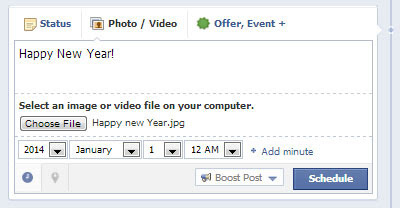 Open your Facebook page and write something, choose a photo to upload or create an event. 2. Instead of hitting the Post button, click on the small clock icon on the lower left corner. This will show the options for the schedule starting with the year up to the minute. 3. Make sure that you choose a future date. I accidentally chose August once when it was already September and the options for the minutes did not appear. 4. When done, just click the blue Schedule button and wait for your post to appear in your timeline and in your friends' timeline too. I've done this a lot of times already on my Facebook page and the limit of the date that you can specify is up to a year. 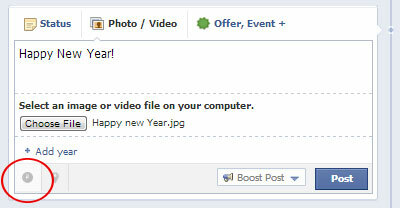 However, I noticed that on my personal Facebook account, I can only schedule posts on the same day.